SHANGHAI, China - Aug. 30, 2016 - PRLog -- A lively, playful and fun-packed tropical island paradise will soon be waking-up the sleepy Maldives. With a 'wow' factor never seen before, Kandima Maldives is so refreshingly distinctive and innovative that it promises not just a resort but its own unique, buzzing 'lifestyle' when it opens in December 2016. "Welcome to the NEW Maldives!" says General Manager Grant Jefferies. "Forget the normal and mundane. Out with the everyday and expected. This game-changing resort is anything but ordinary. Kandima Maldives is much more than just a beach holiday, it's a lifestyle!" Styled for the free-spirited and fun-loving, Kandima offer no less than ten edgy restaurants and lively bars to suit all tastes – representing an exceptional range of choice in the Maldives, where resorts typically only feature two or three F&B venues. the Maldives with waterslides, tennis, badminton and squash courts, 24-hour gym with personal trainers, affordable spa pampering, steam room & sauna, yoga studio, marine biology school, art studio, kids club, games room, photo studio and library. A smart high-tech millennial lifestyle incorporates chic, waterproof RFID wrist bands allowing guests full freedom to roam the island without needing to worry about a key – or even a wallet, with all spending registered digitally through a wrist band reader. A total of 274 stylishly designed studios and villas – all with private terraces and spectacular views – are in 11 different styles and a variety of locations along the beachfront of the 3km island, suitable for both couples and honeymooners seeking privacy, or families and groups of up to eight looking for activity. Also dotted around the lagoon are 80 romantic over-water villas with their own private terraces and Jacuzzis. "It's a new island paradise that millennials have dreamed of…to meet, interact and connect as equals," adds Mr Jefferies. Developed by Maldivian resort specialist Pulse Hotels & Resorts, Kandima Maldives is just a 30-minute seaplane flight from Male International Airport to the domestic airport in Dhaalu Atoll, followed by a 20-minute boat ride to the island. Thanks to direct flights, free visas on arrival and a reputation for pristine beaches and refined resorts, China accounts for 30 per cent of tourism to the Maldives. The archipelago is also the top choice among Chinese travelers for overseas weddings and honeymoons. For bookings or further information, contact Kandima Maldives at www.kandima.com. Kandima Maldives will be the first lifestyle resort in the country and will offer guest the opportunity to experience the Maldives in a new way. The resort will offer a choice of 274 stylishly designed studios and villas, with eleven different categories to choice from, all of which have a private terrace and endless tropical views to enjoy. For bookings contact Kandima Maldives: reservations@kandima.com. 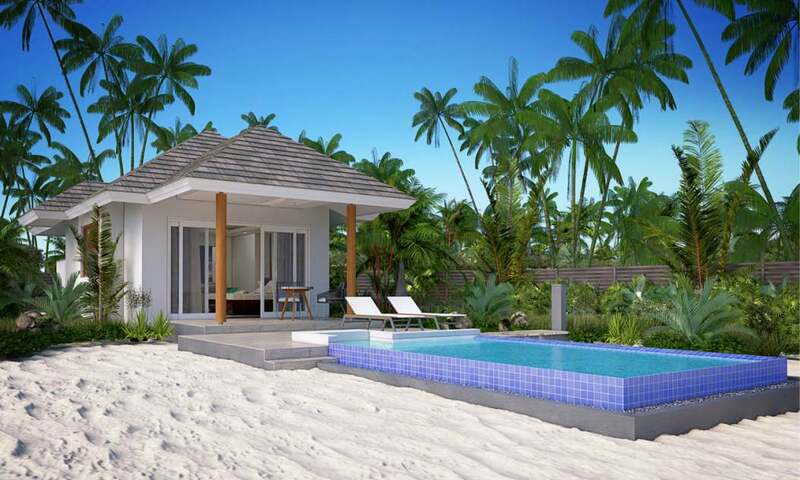 Kandima Maldives is the first property under the umbrella brand, Pulse Hotels & Resorts.